The Federal Government has announced an independent review of the National Disability Insurance Scheme (NDIS) to examine overall costs, value for money and its long-term sustainability. Treasurer Scott Morrison announced the Productivity Commission review on Friday afternoon with a position paper to be released in May, followed by a report in September. The review of the $22 billion scheme will consider funding arrangements with states and territories, cost pressures including wages, potential efficiencies and any impact on mainstream services. The ABC understands the review was expected and consistent with the Heads of Agreement with the states and territories and the Commonwealth, but was brought forward with a broadening of terms. A quarterly report from the NDIS issued late last year found the scheme was struggling to meet its enrolment targets. Enrolment in the scheme may eventually be 35 per cent higher than initially expected in the ACT, raising concerns about a shortage of workers and rising costs. The agency overseeing the scheme, the National Disability Insurance Agency, has called for greater power to control the costs of the scheme. In late 2015, the Government was warned about a potential cost blowout in the scheme due to the increasing prevalence of autism, workforce and supply shortages and states' shifting health costs. Documents obtained by the ABC under Freedom of Information Laws showed the National Disability Insurance Agency had urged bureaucrats to remain vigilant about rising costs. inform the final design of the full scheme, prior to its commencement. examine the most appropriate levers to manage any potential cost overruns. whether there are any issues with the scheme’s design, including the application of market and insurance principles, in ensuring the best possible outcomes for people with severe and profound disability. Commission will be provided with all the data on scheme rollout it considers necessary for the analysis. The Commission is to consult broadly, including with the Australian, State and Territory Governments. 15 September 2017, whichever is later. ​The federal government has announced a review into the costs of the National Disability Insurance Scheme. The study, to be carried out by the Productivity Commission, will focus on the sustainability of costs, cost pressures and ways to manage any potential cost overruns before the full scheme is rolled out. The commission is due to report by September. The treasurer, Scott Morrison, has launched a review of the national disability insurance scheme by the Productivity Commission to consider the scheme’s costs and sustainability. The review will also consider the role of other services in meeting disabled people’s needs, which critics are likely to seize upon as preparing the ground for a possible reduction in the scope of the groundbreaking funding system for disability support services. Morrison launched the review on Friday, explaining in a statement that it would “inform the final design” of the NDIS including by “updating initial cost projections estimated ... and by providing advice on longer-term projections and overall sustainability issues”. The commitment to a review in 2017 was part of a heads of agreement between the commonwealth, states and territories. The Productivity Commission will report within eight months. The terms of reference include consideration of the sustainability of the scheme, jurisdictional capacity, cost pressures (including wage pressures), changes in the agreed escalation parameters and efficiencies that have been achieved in the scheme. It will also assess “whether there has been any impact on mainstream services” from the introduction of NDIS trials and “the most appropriate levers to manage any potential cost overruns”. 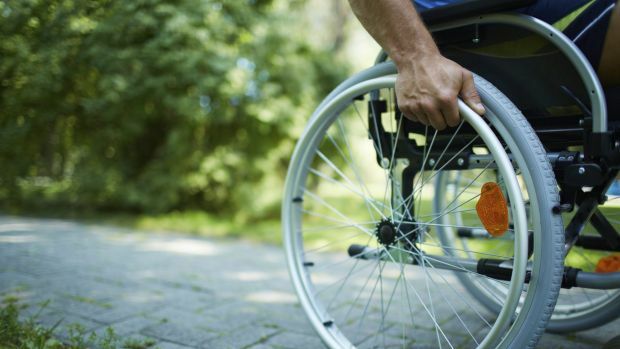 The $22bn disability insurance scheme is currently being trialled in areas including the ACT, the Barwon region in Victoria, the Hunter area in New South Wales and trials for children in Tasmania and South Australia. But the National Disability Insurance Agency has warned of the potential for cost overruns, as the Productivity Commission originally estimated an average cost of $34,969 but the average cost is actually more than $38,423 a person. In September the finance department identified possible growth in the number and package costs of clients of the NDIS as one of a number of “significant downside risks” to the federal budget. Concerns have been raised about the NDIS including through a PwC study that reportedly found the scheme may not be ready for the 400,000 additional participants expected by 2019-20 when the scheme is fully operational. Other reported problems have included estimating only half the number of children in South Australia would be eligible for autism services than is in fact the case. One of the biggest policy reforms in generations is about to change the lives of hundreds of thousands of Australians.